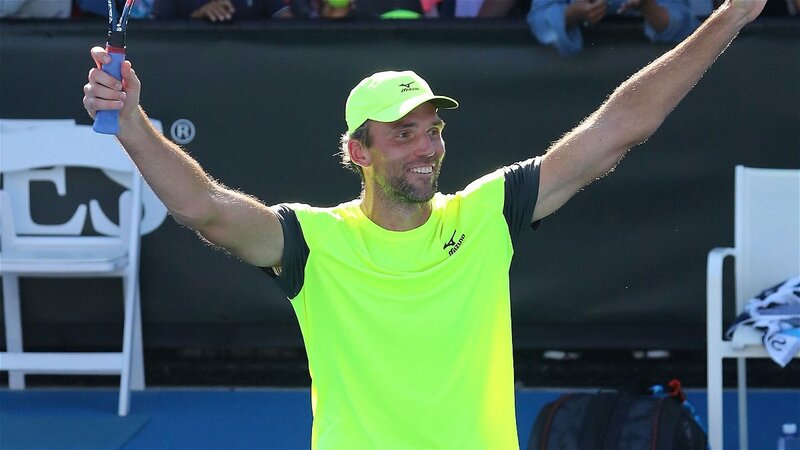 Ivo Karlovic has broken plenty of serving records in his time but it was as a result of his age that the 39-year-old Croatian made further entries in the sport’s history books here at Australian Open 2019 on Tuesday. 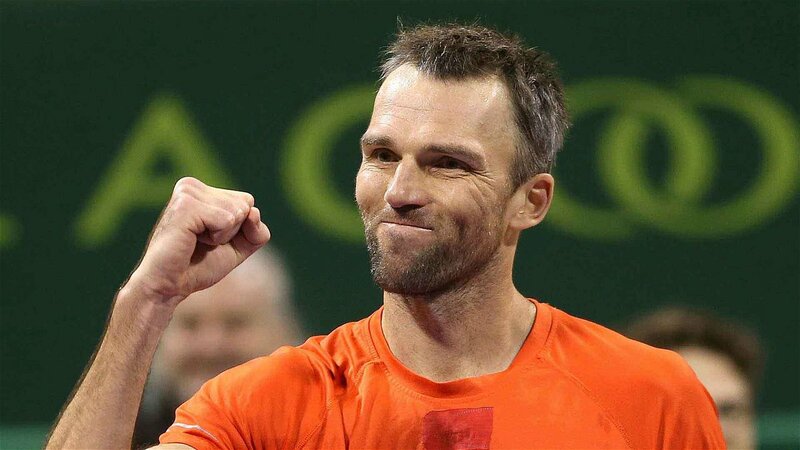 Karlovic, who will turn 40 next month, beat Poland’s Hubert Hurkacz 6-7, 7-6, 7-6, 7-6 to become the oldest winner of a men’s singles match at the year’s opening Grand Slam tournament since 44-year-old Ken Rosewall reached the third round in 1978. He also became the oldest winner at any Grand Slam event since 40-year-old Jimmy Connors reached the second round of the US Open in 1992. Karlovic, who at 6ft 11in is one of the tallest players ever to have competed at the top level, added 39 aces to his career tally in beating Hurkacz, who is 18 years younger than him. Novak Djokovic will also hope to make a new mark in the record books over the next fortnight here. The 31-year-old Serb currently shares the record of six Australian Open men’s singles titles with Roy Emerson and Roger Federer. He launched his campaign for a seventh with a 6-3, 6-2, 6-2 victory over Mitchell Krueger, a 25-year-old American making his debut in the main draw here. Djokovic has played 18 matches in Grand Slam tournaments against qualifiers and won them all. Krueger, the world No 230, pushed Djokovic hard at the start, but once the world No 1 had made his first break of serve to lead 3-2 there was never any doubt about the outcome, though there were plenty of entertaining rallies. Djokovic described the 12 months since his last appearance here as “turbulent”. 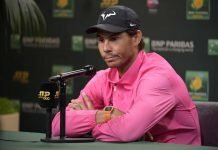 He arrived at Melbourne Park last year having taken off the previous six months to rest his injured elbow and went on to lose in the fourth round, after which he underwent surgery. “There have been a lot of ups and downs,” Djokovic said of his experiences in the last 12 months. 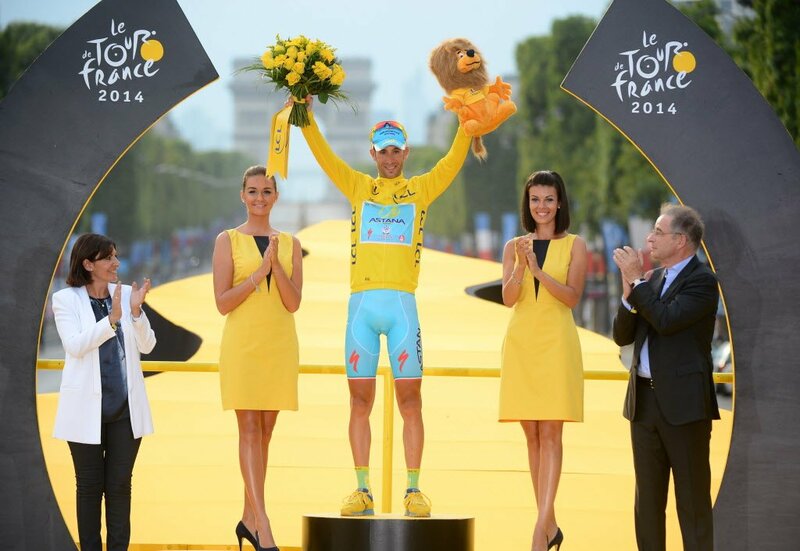 “I had this major injury with my elbow which I had been carrying for more than two years. In the second round Djokovic will face France’s Jo-Wilfried Tsonga, who lost to the Serb when he won his first Grand Slam title here 11 years ago. Tsonga, who has had his own fitness issues in recent years and is currently ranked No 177 in the world, beat Martin Klizan 6-4, 6-4, 7-6. 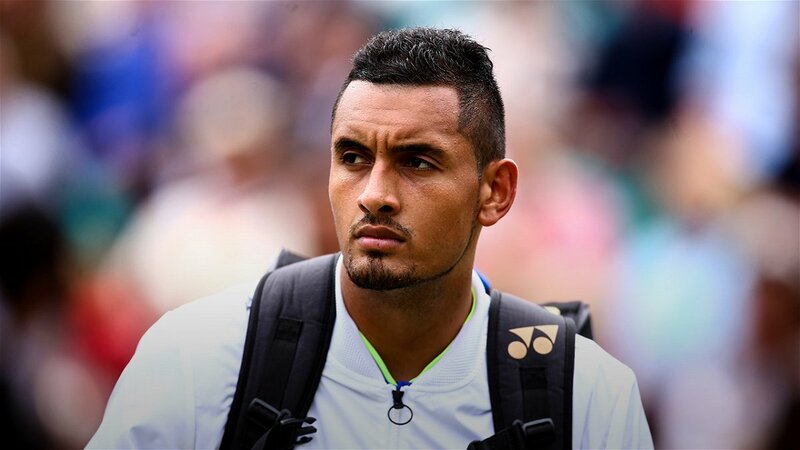 Nick Kyrgios, who was unseeded for this tournament following his recent fall down the world rankings, showed little sign of any improvement in his form as he went down 6-4, 7-6, 6-4 to Milos Raonic. 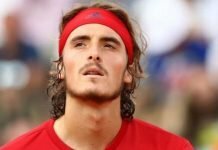 Alexander Zverev had too much power for Aljaz Bedene, though it took the shock of dropping his serve early in the first set before the world No 4 found top gear. After Bedene had broken serve Zverev won eight games in a row and went on to win 6-4, 6-1, 6-4, though he dropped another service game to love in the third set. The 21-year-old German, who won the Nitto ATP Finals in London two months ago, recruited Ivan Lendl to his coaching team last year and is hoping the benefits of their relationship will be evident here at the Australian Open. Kei Nishikori had to come back from two sets down to reach the second round. Kamil Majchrzak, a qualifier making his debut in the main draw, shocked the world No 9 with the quality of his game in the early stages but the 23-year-old Pole was unable to sustain his challenge. Nishikori won 10 games in a row and was leading 3-6, 6-7, 6-0, 6-2, 3-0 when Majchrzak retired after wilting in the stifling heat.